Eventually, most couples in a blended family feel stuck in frustration or are overwhelmed. They're discovering they don't have to stay there — neither do you. 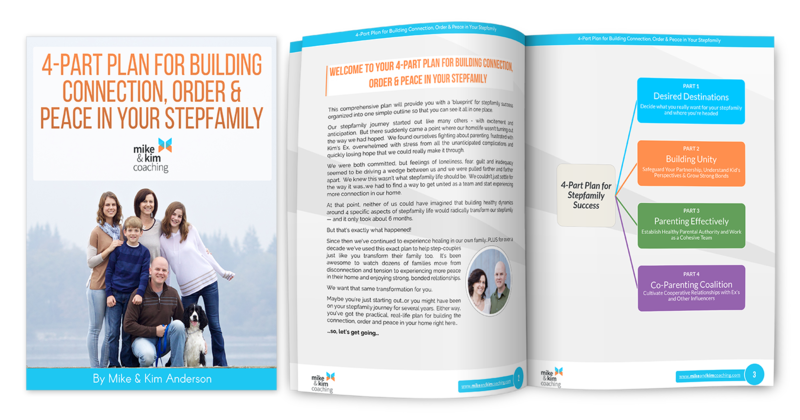 You can get started by claiming your FREE copy of our 4-Part Plan for Building Connection, Order & Peace in Your Stepfamily Today! Start Your Free 5-Day Blended Family Challenge Today! Join other step-couples just like you who are taking the Blended Family Challenge. Just 10 minutes a day for 5 days will set you on a new course to reduce conflict, connect more and increase your confidence in leading your blended family!